This task helps prevent odors and rust. NOTE: The tasks and timings shown here for your Trash Compactor are based on a single-family home (owned), located in Massachusetts, United States, with priority set at ‘1 star' or higher, for all possible goals. If you set your personalization differently in your Home Wizard app, then you may get reminders for different tasks and timings in your recommended home care program for your Trash Compactor. 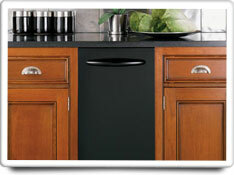 Clean the bin and arm using warm water and mild detergent. Dry the bin and ram thoroughly to prevent odors and rust. If rust has begun to form, then sand and repaint it. Replace deodorizer sprays and disposable bags as necessary. The benefits of this task are moderate. It helps to extend the useful life of your trash compactor.